The ciaramicola is a typical Easter cake from the province of Perugia in Umbria. 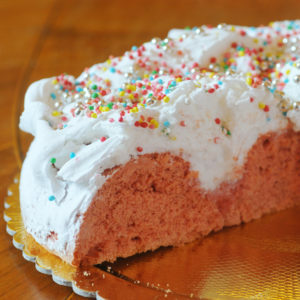 Ciaramicola is a lemon spice cake baked into the shape of a large donut and covered in white icing and coloured sprinkles. 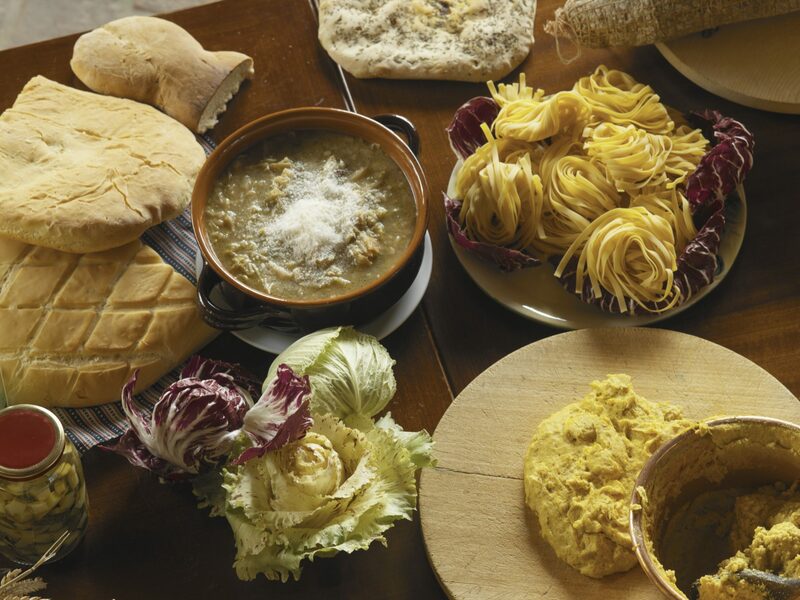 The cake was first made as a way to honour the city of Perugia and acts as an unofficial symbol of the city. 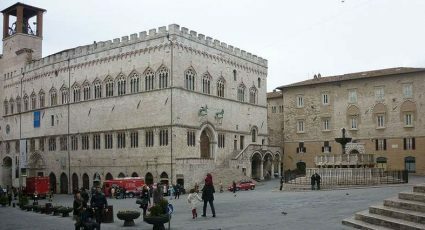 Its original design featured 5 distinct bumps in the ring of the cake, which represented the 5 main neighbourhoods of Perugia, also its colours, red on the inside and the white icing, are a reference to the city’s coat of arms. The cake dough is seasoned with lemon and spicy Alchermes liqueur, which gives it the cake its red tinge and distinct taste.